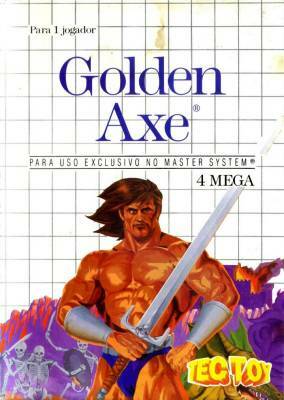 Golden Axe - Games - SMS Power! 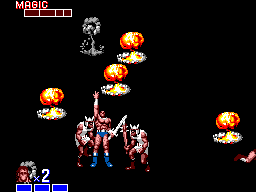 Game Sack - Piss Poor Ports! 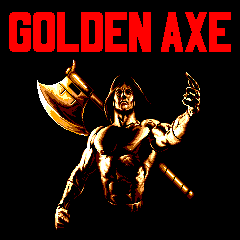 The residents of the once-peaceful city of Yuria have lost the legendary Golden Axe- the very thing that had shielded them from evil for so long. 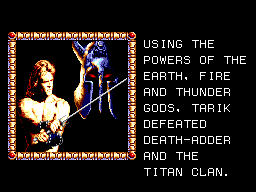 It is now in the hands of the unscrupulous titan, Death-Adder. 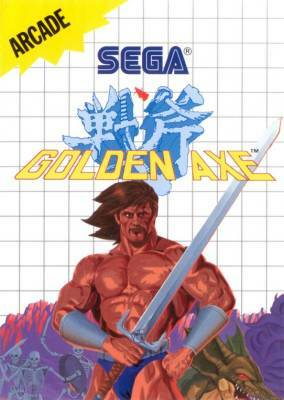 Tarik, the seasoned warrior whose skill with his giant sword is both praised and feared throughout the land, has come forth to try and wrest the Axe from the grasp of the black-hearted warlord. Help Tarik to battle the many types of bandits that Death-Adder has amassed to protect himself. Using the sword, and certain very special magical powers, guide Tarik through the gauntlet of bandits to Death-Adder's castle! 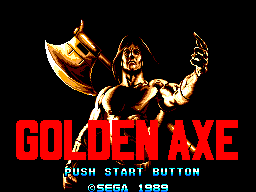 He'll be waiting there for you, and he's terribly reluctant to give up the Golden Axe! Are you brave enough to bring back the Axe, and thus restore tranquility to Yuria, or will you wind up just another victim of the evil warlord?